The SWISS TEC® ST-25 Thicknesser has a solid steel helical cutterhead with four-sided carbide knife inserts that require no adjustments when changing. With a digital readout and simple PC controller, setting up table heights is quick and easy. The frame is machined from heavy cast iron and has extra wide side panels that offer rigid bed support and ensure accurate alignment. The planer's segmented, serrated infeed roll with segmented chip breakers has an independent yield of 1/4. Its automatically adjusting, chain drive gear box powers the 3" diameter infeed rollers, solid pressure bar and dual outfeed rollers for precise feeding of stock. The 3-speed feed selector gives woodworkers flexibility by changing feed rates quickly and easily. 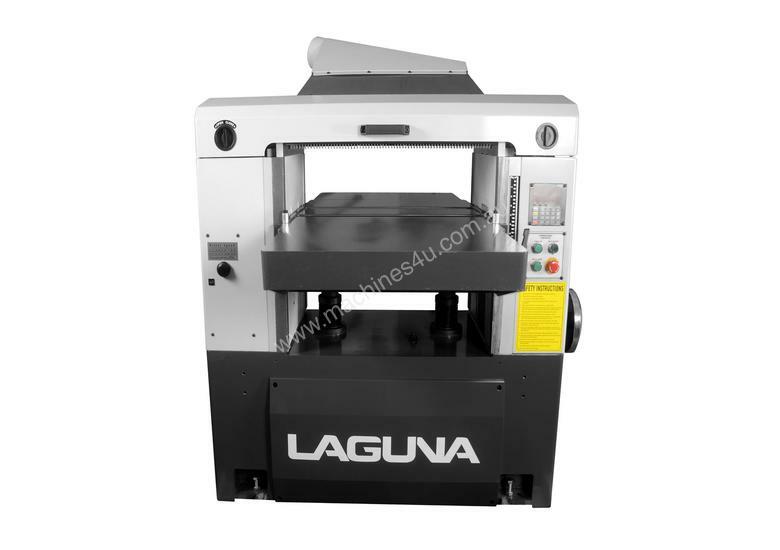 The WP2510 Planer has a large 32-3/16" x 26" precision-ground table which contains two adjustable table rollers for smooth feeding of uneven stock. The planer has a Quick-Set micro-adjustable lever that easily raises and lowers the table rollers from 0 to 0.05". The hood features a built-in 5" diameter dust chute. Since 1954, Gregory Machinery has been 100% Australian owned and operated. From the company's humble beginnings at the Gregory family home in St Lucia, QLD, to the current showroom warehouse at Richlands, Gregory Machinery's mission is to provide Aussies with the latest industry-leading woodworking machinery. All our products are covered by a 12-month warranty*. * For conditions and further information please see our website.